Winning Lottery Numbers for all US State lotteries, plus results for multi-state lotto games such as Powerball, MegaMillions and Cash4Life. Check your tickets against these winning numbers to see if you are a winner! You will also find the latest lottery news and numerous helpful articles ranging from playing tips and systems through to taxation and annuities. Many of these games also raise money for valuable initiatives that improve education, public infrastructure and social services. When you play the lottery, you're helping to fund these programs while you fund your own dreams of winning it big. Have fun and good luck! There are a number of lottery games besides Powerball and Mega Millions that can be played in more than one state. Some of them offer huge jackpots, while others promise regular payouts for the rest of your life. Cash 4 Life - Played in nine states, Cash 4 Life gives you the chance to win $1,000 per day for life if you can match the full winning line. Lotto America - Lotto America jackpots start at $2 million and keep growing until they are won. You can play in 13 different states. Lucky for Life - Lucky for Life is available in 26 states. There are ten different ways to win and the top two prize divisions guarantee a regular income for life. Michigan Lotto 47 - One of the easiest classic draws - simply pick 6 numbers from a possible 47, with odds of just 1 in 10.7 million of winning the jackpot. Mass Cash - This daily draw takes place at 10 PM ET in The Bay State. The jackpot is $100,000 for matching 5 numbers out of 35. 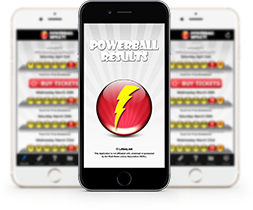 SuperLotto Plus - What's not to like about CA's SuperLotto Plus, which boasts the largest win of $193 million for a single state lottery? Draws take place every Wednesday and Saturday. You'll find Superlotto Statistics here. New Mexico - The Land of Enchantment recently added Pick 4, with draws twice daily, in addition to its existing Pick 3 and headline Roadrunner Cash games. Florida - The Sunshine State retired its old Lucky Money game and replaced it with an exciting brand new game, Jackpot Triple Play, with at least three chances to win on every ticket. Arizona - AZ launched Triple Twist with a jackpot starting at $200,000 and no less than 10 ways to win!